« Human Looking Robots: Groundbreaking Technology or the end of Humanity? The Walking Dead season six premiere episode titled “First Time Again” was directed by Greg Nicotero. The highly exciting episode picks up right after the gruesome events that led to the death of Deanna’s husband, Pete’s demise, the return of Morgan, and Glen’s altercation with Nicolas. As things get underway, the episode was shot in black and white as the past unraveled. As the present unfolds those shots are presented in color, while they both deliver a vivid presence in showing what the world really looks like as Rick and group face a whole array of challenges while trying to maintain what they view as a stable life within the walls of Alexandria. The mood of Alexandria has altered in way where many question Rick’s ethics. Rick tries his best to make things right between him Jessie and her son Ron, but after what she witnessed Jessie really doesn’t want to have anything to do with Rick. Deanna tries to assume her position as leader of the group, but in all honesty everyone knows that Rick is the leader. Carol tells Rick that, but he knows what’s going on. Morgan and Rick go beyond the walls to find a place to bury Pete, Ron follows them and it is there where Rick discovers a quarry filled with walkers, where he realizes that he and the people of Alexandria have an even bigger problem on their hands to deal with. Rick meets with the group to discuss their plan in how to deal with the walkers. He tells them that once the truck collapses on the hill, the walkers will have a way out of the quarry and will head straight to Alexandria. Rick proposes to draw out the walkers and lead them away from Alexandria. The people in the group know that this is dangerous so Carter suggests to build higher walls and reinforce the ones they have. Deanna goes with Rick’s plan and they all start the process of drawing out the walkers. 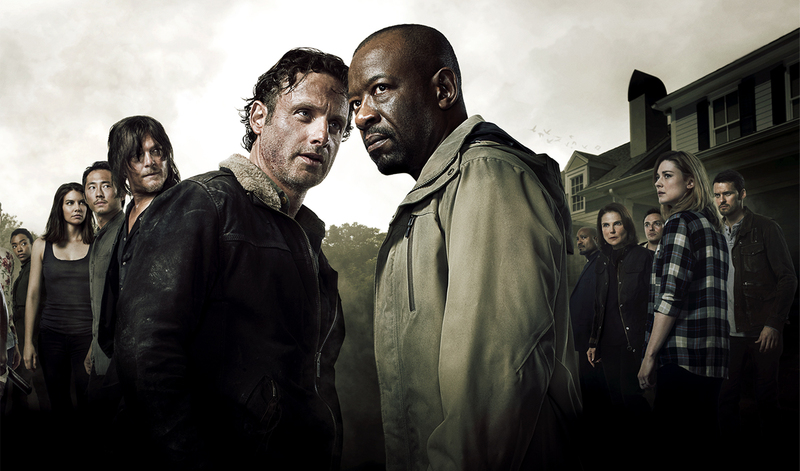 Carter doesn’t trust rick at all, and soon starts to organize a plan to kill him and assume power of Alexandria. Eugene overhears the plan and Carter draws a gun on him. Rick and Morgan walk in on it and Rick takes the gun from Carter and makes an attempt to talk him into living together in peace. Meanwhile Rick and Morgan’s relationship begins again as Rick invites Morgan to live with his family. Morgan tells Rick that he knows who he is, and that he is the same person he met when they were outside of Atlanta. Rick believes that he is a different person and to some degree he is, but there is a part of the man that we first fell in love with that still exists within him. It is that husband, that father, that survivor, that drive and determination that we all love about Rick that keeps us on the edge of our seats every week. Heath— a comic book character has been introduced. He is now part of a Glen’s and Nicolas’ group. They are on the outskirts of Alexandria as they try to clear an area to help Rick execute his plan to draw out the bigger heard of walkers. A now humbled Nicolas is taken under the direction of Glen, sees his task as a serious and important duty that can impact others. The plan is under way, as everyone takes their place, they proceed to draw out the walkers, led by motorcycle riding Daryl Dixon himself, along with Abraham and Sasha in a car, the walkers slowly follow them out of the quarry. Things go crazy fast, Carter is bitten in the face by a walker and his screams distract the walkers and draw them off track. Rick kills Carter and gets the walkers back on track until suddenly a loud sound that seems to be coming from Alexandria draws the walkers back in Alexandria’s direction. I think the Wolves are near and they are the ones that are responsible. I hope to see an appearance from the Hilltop, and the Saviors. If Negan makes an appearance this season we can say goodbye to Glen, unless the writers have different plans for him. I don’t know how Rick will handle Negan, but he will have to become more ruthless then he already is. Negan is by far worse than the Governor! I’m reading book 23, and I’m so excited to see how season six will transpire.